So it has been a little while since I have managed to join in with a Global Design Project but I knew exactly which stamp set I was reaching for when the challenge was posted yesterday morning. 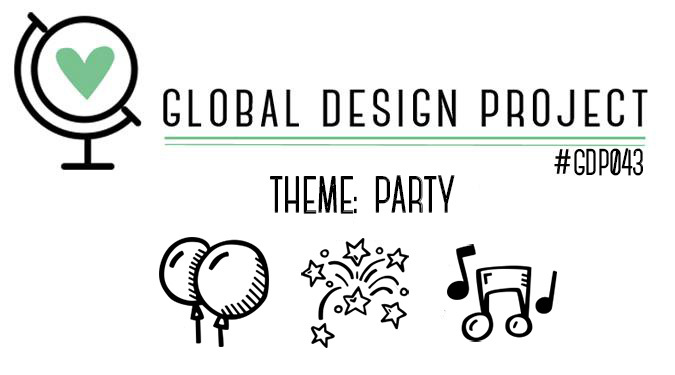 The theme for this weeks Global Design Project was ‘Party’ and what part is complete without some cupcakes? The Sweet Cupcake was on my very first order as soon as the new catalogue went live on the 1st June however it hadn’t seen any ink until yesterday evening so this needed to be put right! For this card I decided to go with pink and sparkly! The background was created with a watercolour wash of Blushing Bride and Crumb cake, once this was dry I then stamped the sprinkles in Blushing Bride. All 3 layers of the cupcake case was stamped in Crumb Cake, stamping off x2 for the first layer, x1 for the second layer and not stamping off at all for the top layer giving the darkest shade of this colour. The topping was stamped in Blushing Bride (stamped off x1) and then the second layer was Blushing Bride with no stamping off and the top layer was in Flirty Flamingo. The candle was also stamped in both Blushing Bride (for the first layer) and Flirty Flaming0 (for the top layer) with the flame stamped in Daffodil Delight. All the elements were then cut out, the candle has been glued directly to the base and the cupcake and flame have been lifted with dimensionals. I have then added a sprinkle of rhinestones, some extra dazzling details in silver and a 1.5cm strip of Blushing Bride Glimmer … just to make sure there was absolutely enough sparkle!! Here is the supplies I have used. Gorgeous, you can never have too much sparkle! !